On June 17, a mistrial was declared in the sexual assault trial of fatherly actor and comedian Bill Cosby. Soon thereafter, Cosby’s publicity team announced that their client would hold a series of town hall meetings across the country to discuss sexual assault prevention. Now, however, they’re backing away from this narrative, and instead claiming that this tour is first and foremost about restoring Cosby’s legacy. As Deadline reports, Cosby publicist Ebonee Benson is reframing the purpose of the town hall circuit. But Benson argues that she is doing no such thing—rather, she is correcting a story perpetuated by the media. Benson elaborates, accusing the media of “sensationalizing” the charges brought against Cosby. It’s difficult to preserve a legacy when you’re accused of sexually assaulting dozens of women over the course of your long career. And to spin the many aching testimonials provided by survivors as sensationalist journalism? That’s both inhumane and absurd. But more to the point, Benson and her colleague, Andrew Wyatt, are the ones who presented the town hall idea as a forum to discuss sexual asault—not the media. In the clip below, tweeted by Paul on Sunday morning, you can see footage from an interview last Thursday where Benson and Wyatt discuss the town hall tour. Not once do they mention “restoration of legacy” or anything akin to that. Then, Benson spoke up in agreement. Whatever the motivation, this comeback tour is presumptuous and, to say the least, insulting. 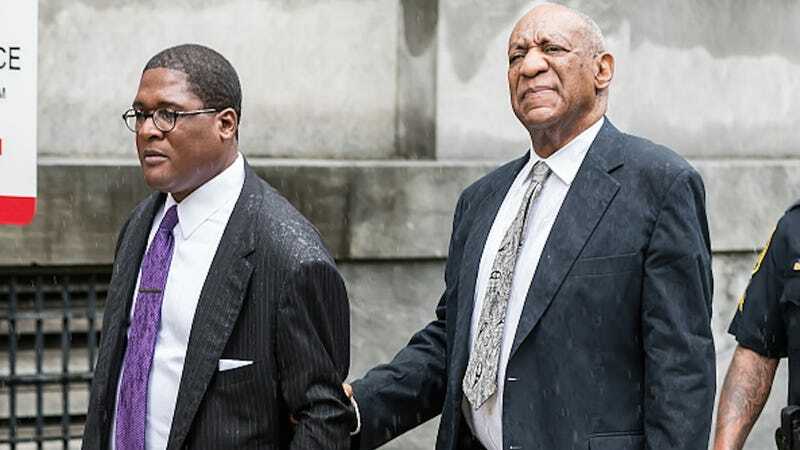 A mistrial was declared, but Cosby was not acquitted of the charges brought against him. The Pennsylvania D.A. is determined to retry Andrea Constand’s case, at which time Cosby will be required to defend himself once more. But while there’s every reason to believe Bill Cosby is guilty, America has a chronic aversion to taking women seriously and, more specifically, to believing the testimonials of sexual assault survivors. Cosby need only contemplate the 2016 presidential election results to feel smugly reassured.